I picked this book up because of New Horizons approach to Pluto and because I’d want to understand the whole hullabaloo around Pluto’s status change. The book was interesting, but if you take a side – pro planet Pluto or pro dwarf-planet Pluto, it’ll feel as if you’re in an argument here. And it just feels silly to me. I think it might have to do with me living in Eastern-Europe and Pluto being discovered by an American – my feelings can be put together into one word – “meh”. 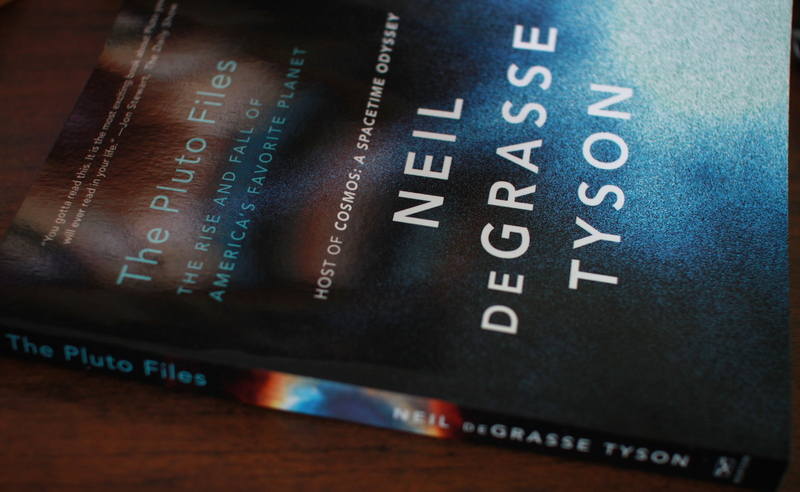 So reading this book was ok, you do find out more about the situation and the discovery of Pluto and who were supporting Pluto to stay a planet, but you don’t really find out much about Pluto as such (but we will in about a week, right?). It would be interesting to know what some other people thought of this book or just the topic of planetary status – would you have liked Pluto to remain a planet? Does it even matter when scientists decide that one thing is something else? 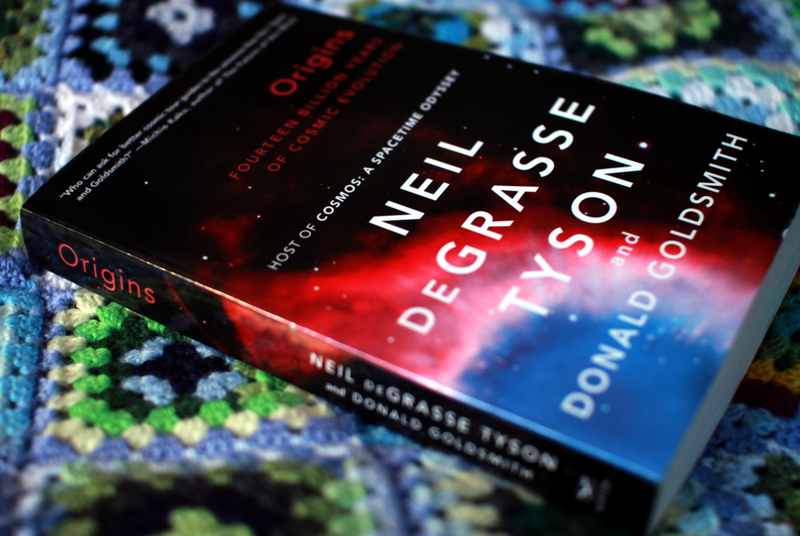 “Origins” talks about the beginning of everything – from the Big Bang and how the Universe came to being to how galaxies and stars formed, how planets began and how might life have evolved – all that in about three hundred pages filled with rather easy and fascinating writing by Neil Degrasse Tyson and Donald Goldsmith. 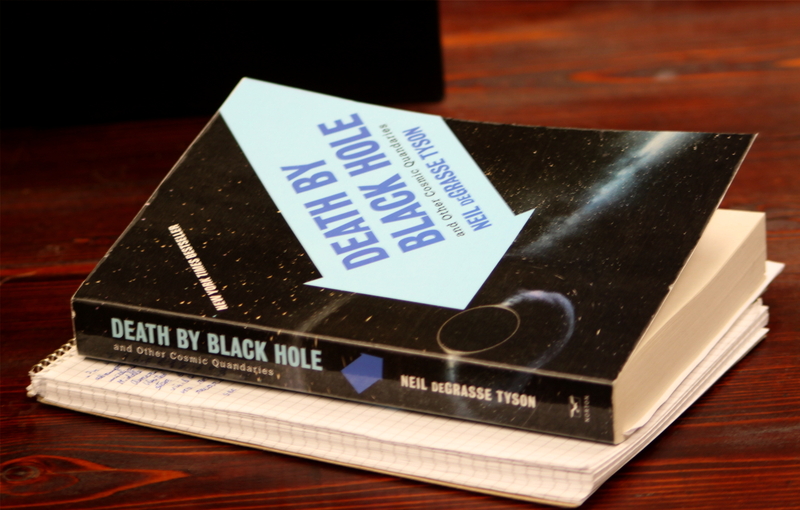 The book is well set up and follows a certain logic going from cosmology all the way to astrobiology in the end introducing theories that try to explain how astronomical objects form and evolve and in some cases also inform us about we don’t know yet. I’d really suggest reading it if you haven’t before – it doesn’t require a great understanding of mathematics, but there are a few mentions of Greek letters that might confuse the reader, although they’re explained in the book. Well worth the time I spend reading it. I found all the essays in this book rather interesting, some more illuminating than others, but ultimately wonderful and well-written. It hasn’t got any mathematics to drive people away and it’s in bite-size pieces so one can read one essay from the end, one in the middle etc. and you’d still understand what he’s writing about – mostly astronomy. There are 42 chapters or essays in the book, and since they’re not really all that connected then it’s rather difficult to describe what they’re all about in all but the most general terms…. The essay I liked the best was about “the fear of numbers”. It’s about how some high buildings don’t have a 13th floor and go from 12 straight to 14, and how planes don’t seem to have a 13th row of seats… Well, that’s not really fear, it’s superstition, but I find it funny. (FYI May 13th is a Monday – Beware! Mwuahaha [evil laughter] :D) Though the fear of numbers is tragic.